Rescue dudes falling from the sky. Is there a better alternative to Paradudes? Is Paradudes really the best app in Arcade category? Will Paradudes work good on macOS 10.13.4? 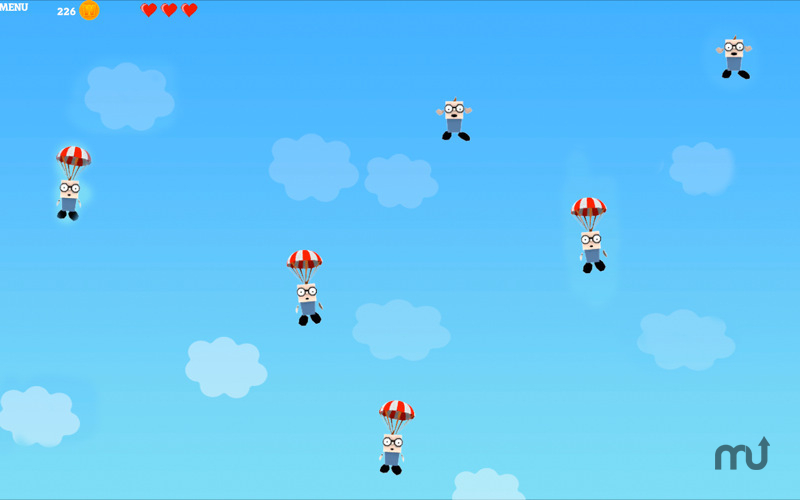 Paradudes…Dudes are falling from the sky! They may look smart, but they don't know how to open their parachutes! Rescue them by clicking on the dudes. As thanks for saving their lives they can reward you with coins. You will see other (unidentified) objects flying trough the sky, tap them for extra score. Score as much points as possible; at the end of a game you'll see your worldwide highscore ranking, and the amount of players you've beaten. Have fun playing Paradudes but beware; it's addicting! Paradudes is also available on iPhone and iPad! Paradudes needs a review. Be the first to review this app and get the discussion started! Paradudes needs a rating. Be the first to rate this app and get the discussion started!